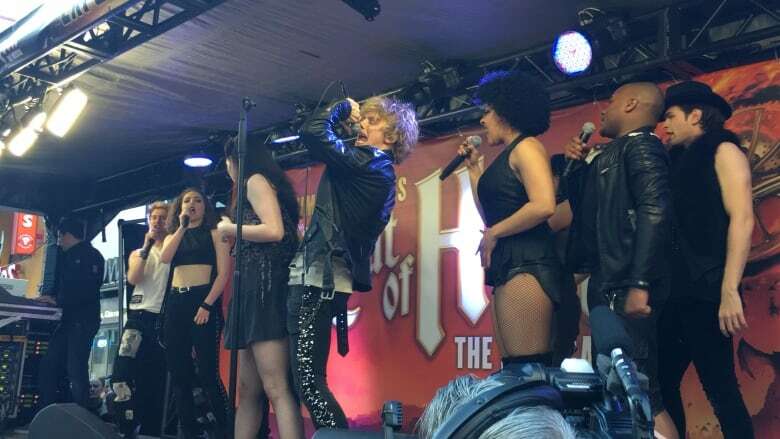 Cast members from the Jim Steinman musical gave Toronto crowds a sneak peek of the rock n' roll extravaganza that's hitting the city in October. Fans got a taste of paradise under the Yonge Street lights on Monday. 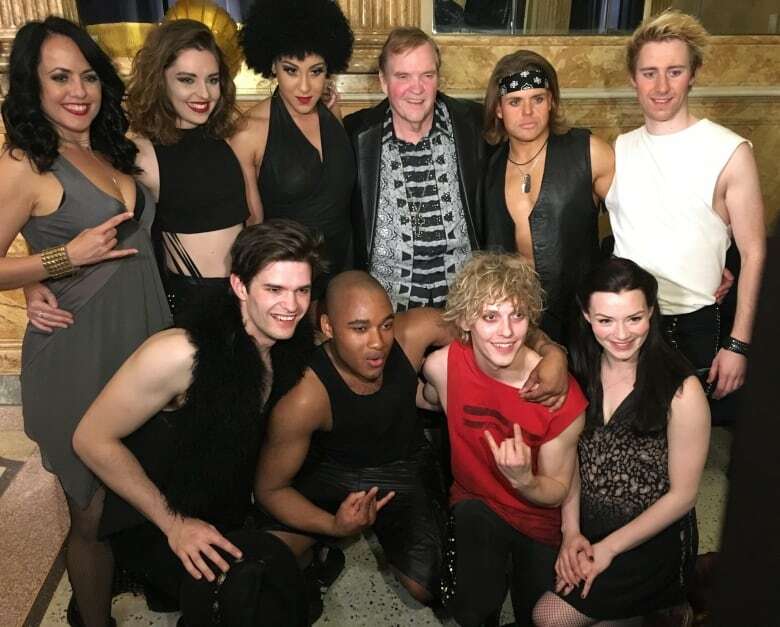 Cast members from the Jim Steinman musical Bat Out Of Hell gave Toronto crowds a sneak peek of the rock n' roll extravaganza that's hitting the city in October. The show features Steinman and Meat Loaf's greatest hits, including I'd Do Anything for Love (But I Won't Do That), Paradise by the Dashboard Light, Dead Ringer For Love, Two Out of Three Ain't Bad, and Bat Out of Hell. "They're young — they should sing the hell out of them," said Meat Loaf, chatting with the media about the cast after Monday's high-energy event. The show, set in post-apocalyptic Manhattan, stars actor Andrew Polec as a "young, rebellious leader" named Strat who falls in love with the daughter of the city's most powerful man. Opening on Oct. 14, the musical is coming to Toronto after its world premiere across the pond in London this summer. That stint follows its critically acclaimed previews in Manchester, where David Mirvish first saw the show. "What I saw there was really strong young voices and talented people telling a really wonderful story," he said. "A story of struggle, but ultimately it was a story of youth and love." The show has been a dream of Steinman's for more than 50 years, Mirvish Productions says. The American composer, lyricist, Grammy Award-winning record producer — and Meat Loaf collaborator — wrote the book, music and lyrics for the musical. It features songs from Meat Loaf's multi-platinum Bat Out Of Hell album, which has sold 43,000,000 copies worldwide since coming out in 1977. "Here was an iconic group of songs on an album that had always aspired to being sung in the musical theatre world," Mirvish said. Tickets for the Toronto run at the Ed Mirvish Theatre go on sale May 24.